Posture My experience of treating back has led me to conclude that poor posture and movement patterns is one of the most common underlying issues. For these cases, I have found that if you do not first correct your postural habits, then you will find it much harder to make a full recovery any from posture-related pain. 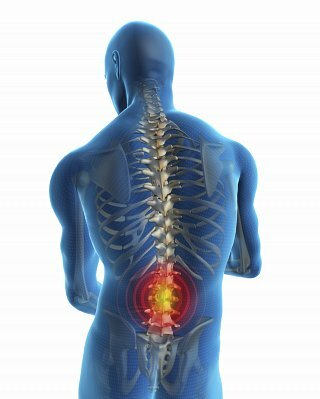 Injuries and Accidents Here the cause of back pain is pretty evident - everything from lifting injuries, car accidents, sports-related injuries to fractures caused by falls and accidents. Being aware of how you can get injured and help prevent repetitive injury is important. Stress (I see this one more and more) Just as your personality responds to stress in many ways so does your body. Tension in the muscles can have knock on effects on the nerves, ligaments and the joint to which those muscles attach. This can cause back pain and pressure on the organs that the tight muscle surrounds. Ageing Wear and tear associated with ageing is one of the more common underlying cause of back and neck pain I see. People are often advised that there is no treatment available to deal with aging-associated pain  however, this is rarely correct. The pain relief that treatment can bring often leaves patients astonished and wondering why they put up with their discomfort for so long! If one of these 5 causes seem to fit your back pain, then that is a step forward to getting it treated. We now need to look into it in a bit more detail and that will depend on the symptoms, the patient, lifestyle, past history and other subjective and objective findings.